If Turkey take part in an operation to liberate Raqqa it will play in the hands of Russia because Moscow's primary goal in Syria is destroying the self-proclaimed Daesh caliphate, experts said. Turkey is ready to join the United States to liberate the Syrian city of Raqqa, the de facto capital of the self-proclaimed Daesh caliphate. "Raqqa is an important center for Daesh… [US President Barack] Obama particularly wants to do something together about Raqqa. We have told him that this is not a problem for us… What can be done there will become more concrete after talks," President Recep Tayyip Erdogan told journalists Wednesday. He added that Turkey must show that it was present in the region and had no option of taking a step back on Syria and countering terrorism. 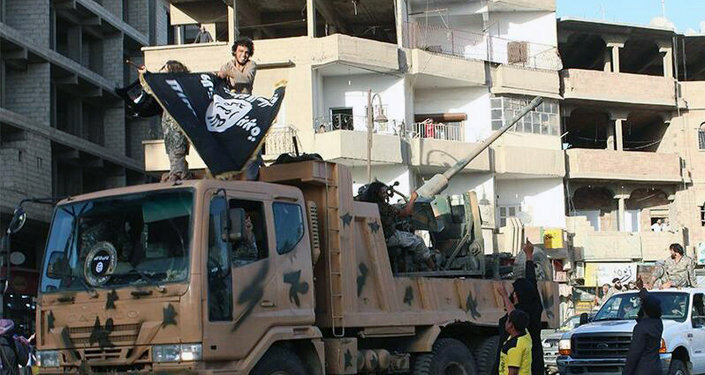 Raqqa has been under control of terrorists since 2013. The Syrian Democratic Forces and the Syrian Army have made attempts to liberate the city but failed. However, the balance of power changed after Turkey launched the Euphrates Shield operation in northern Syria on August 24. Turkey’s involvement in Syria could be a turning point in the crisis as Ankara is becoming the key player for a ground operation against Daesh. "It is reasonable to assume that in exchange for military support to liberate Raqqa Erdogan may demand from Washington a blank check to resolve the Kurdish problem. Preventing Kurdish autonomy is crucial for Ankara," an article on the Russian analytical website Svobodnaya Pressa read. At the same time, for Washington, siding with Turkey would mean correcting its policy in Syria. The US has relied on Kurdish forces in Syria but now Turkey could become Washington’s main ally in Syria. As for Russia’s reaction to such a scenario, Moscow is unlikely to criticize Turkey because Ankara’s engagement in Syria could also serve Russia’s interests, experts say. "Turkey normalized ties with Russia. 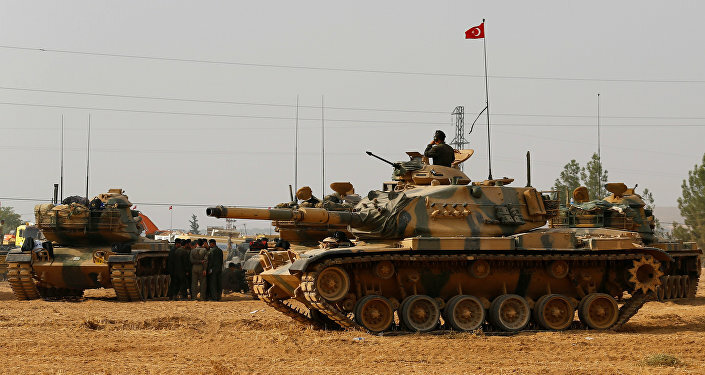 And it seems like Moscow unofficially authorized Turkey’s participation in a local military campaign at the Syrian border," Stanislav Tarasov, head of the Middle East-Caucasus think-tank, told Svobodnaya Pressa. On the one hand, Turkish involvement in Syria can facilitate a solution against Daesh problem. On the other hand, it complicates the diplomatic solution to the Syrian crisis, the analyst pointed out. According to Tarasov, the operation has created problems for dialogue between Ankara, Washington and Moscow. "Turkey is part of a US-led international coalition. Erdogan may join forces with the US to liberate Raqqa. At the same time, Ankara and Washington understand that Russia has its interests too," he said. 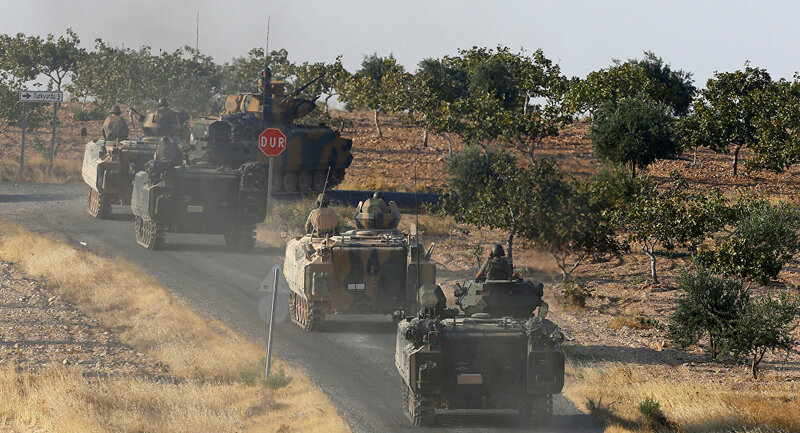 The analyst also suggested that the Turkish operation in Syria will not deal a blow to Moscow’s and Washington’s positions in the region but poses the risk of dragging Turkey into a serious military conflict. "Turkey will not upset Russia’s plans if Turkish forces liberate Raqqa. Russia’s main goal in Syria is defeating Daesh terrorists. And the liberation of Raqqa would play into the hands of Moscow," Mikhail Alexandrov, a military and political expert at the Moscow State Institute of International Relations, pointed out. Moreover, Ankara restored ties with Moscow which means that Turkish control over Raqqa is a much better scenario than if Raqqa was liberated by the US, he added. "Moscow would agree to this scenario. I can’t rule out that Erdogan and [Russian President Vladimir] Putin discussed it during their meeting in China," he concluded.